flyte.se Story by Flyte is a levitating timepiece that reflects our slow moving earth orbiting around the sun. The magnetic metal ball elegantly revolves around the wooden base horizontally or vertically. 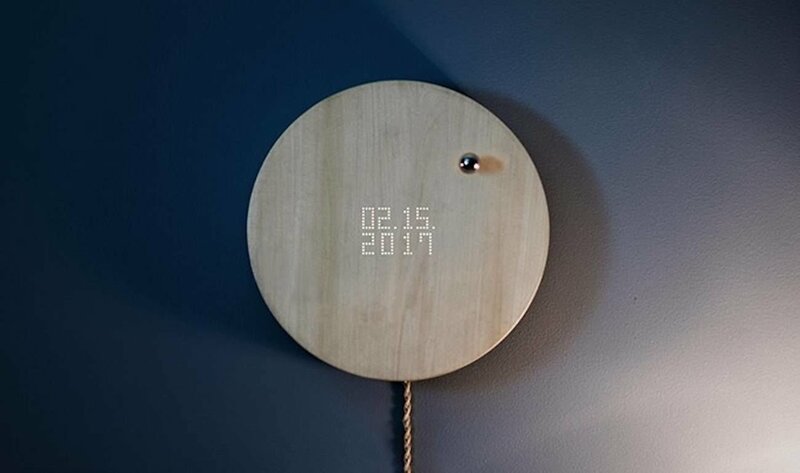 Giving us a visual satisfactory and magnificent way of displaying time, data and seasons, or as a digital clock and timer. It doesn’t just stop there, Story has a backlight system that illuminates to display moon phases, sunset/sunrise and temperature through various colors.